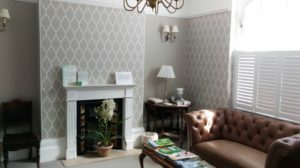 Farrow and Ball wall papers used through out the Dental Practice including a 5.5 metre drop in the Stairwell. In 2 designs. 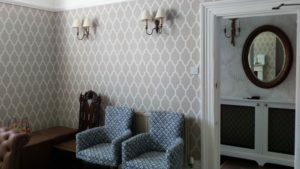 Tessella pattern in the waiting room and Lotus-flower design. Cheltenham town house converted in to business premises.